The recent release of political prisoners in Burma seems to suggest a new era of reform. Yet Burmese activists and US policy makers disagree on what is real and significant change. What does Burma mean for the democracy movement in Vietnam and can recent developments be replicated? 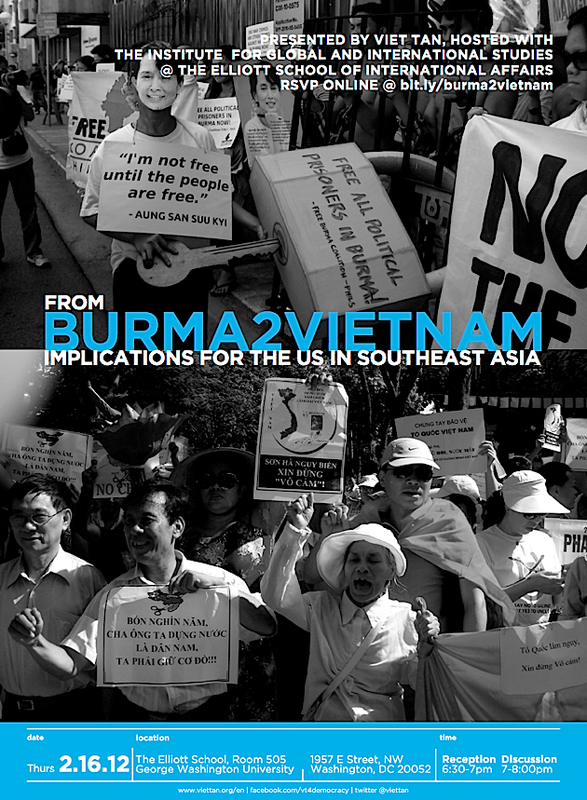 Why is democratic reform in both Burma and Vietnam important to the US? Join us on Thursday, February 16th at 6:30pm for these topics and more. You can watch this discussion live starting at 6:50pm EST on www.livestream.com/viettan. A recording will be made available later in the day. 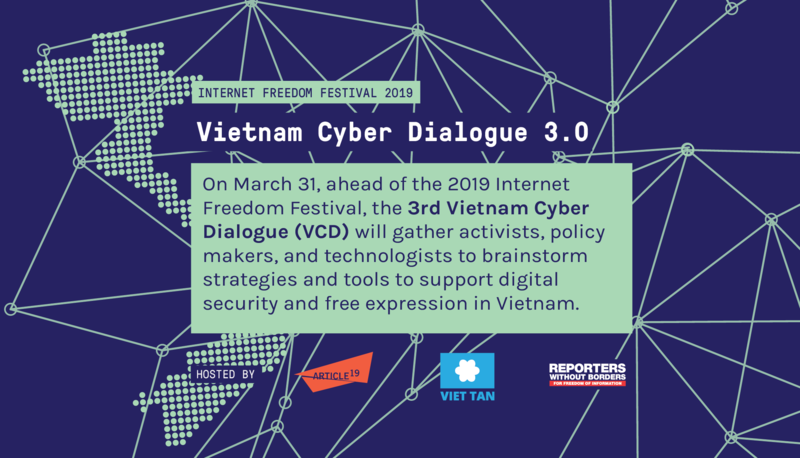 Ms. Libby Liu is the President of Radio Free Asia, a private, nonprofit corporation broadcasting and publishing online news, information, and commentary in nine East Asian languages to listeners who do not have access to full and free news media. Prior to joining RFA, she served as director of administration and strategic planning at the Baltimore-based National Association for the Advancement of Colored People (NAACP), where she played a pivotal role in implementing the NAACP’s Five-Year Strategic Plan Goals and Objectives. She holds a bachelor’s degree from the University of California-Berkeley, an MBA from The Wharton School of the University of Pennsylvania, and a J.D. from the University of Pennsylvania. A California native, Ms. Liu is the daughter of Chinese immigrants and she has traveled widely in East Asia. Mr. Do Hoang Diem (Diem H. Do) was born in 1963 in Saigon. 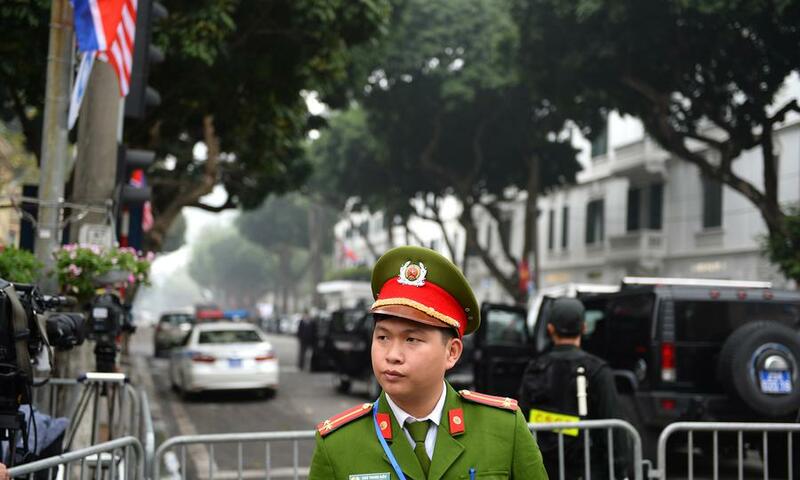 Finding the dictatorship and injustice in his homeland unacceptable, he joined the democracy movement as a college student and became a member of Viet Tan in 1982. He holds an MBA from the University of Houston and has held executive positions in diverse industries including banking, manufacturing and health care. 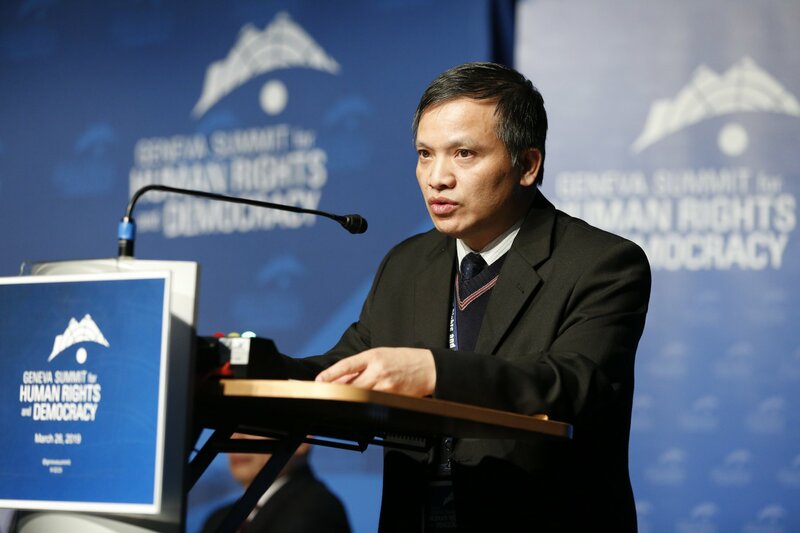 He is currently devoted full-time to promoting democracy and human rights in Vietnam. As part of this effort, he has met with government leaders around the world, spoken at international conferences and given testimony to U.S. Congressional committees on the situation in Vietnam. In addition to his pro-democracy activities, he is actively involved with the Vietnamese overseas media and community. In 2006, he was elected Chairman of Viet Tan, an unsanctioned pro-democracy political party in Vietnam.